A truly original design. 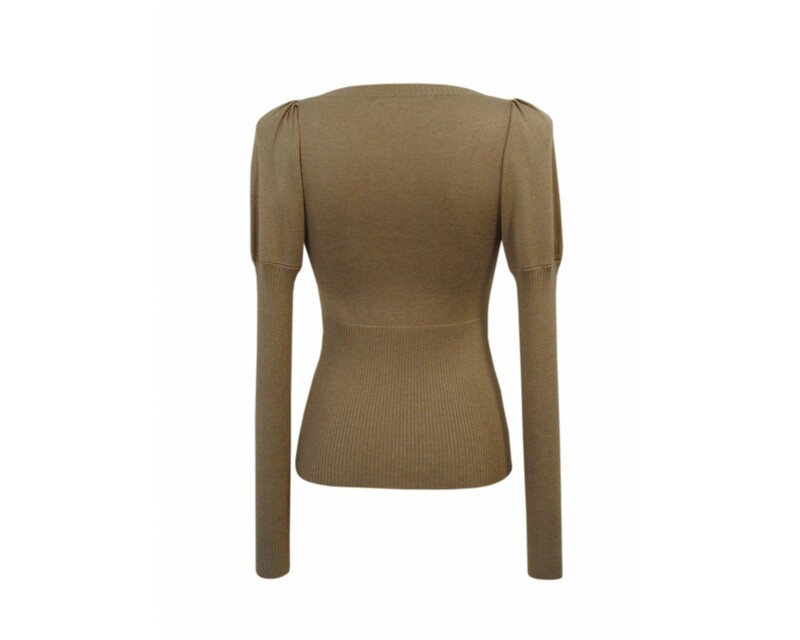 This feminine jumper has a ribbed detail which runs from below the bust to the hem and in a column to the collar. This gives a fabulous silhouette along with the bloused sleeve which runs into a rib detail making the arms look long, slender and elegant. 85% silk & 15% cashmere.